A great and unexpected idea. Sass up those feet…Instead of doing the traditional white/ivory wedding shoes why not add some sparkle to your feet! Go with a bold color that maybe matches your wedding bouquet. It will be a great surprise in your wedding pictures! 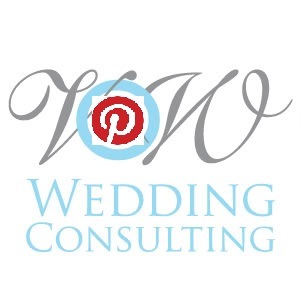 As a planner one of my favorite type of weddings are destination weddings. I sometimes feel that weddings with 200+ guests sometimes loses their intimacy. I know that alot more brides & grooms have started to opt for destination weddings, not only because of cost, but its really intimate and special to have 20-30 of your closest family and friends, join you in an exotic location and share a truly special moment. Distinctive in it’s own way…and quite memorable. So the wedding plans have started…and one of the things that you are interested in is the photographer and the wedding album he/she may create. As you may notice wedding albums can run anywhere from $700-$1200 for a book. Personally, I think that’s alot to spend (especially if you are trying to watch your budget). So I have a less expensive, equally as nice, alternative to the traditional wedding album. Why not do a coffee table book? The pictures in the book last longer because they aren’t actual prints, and it’s a little more modern. It can be a great gift to family members, or you can display it on your coffee table for guests. There are quite a few companies out there that offer custom book printing. A book can run you anywhere from$30-$150 (depending on how many pages you select). Some of my favorite companies are: MyPublisher & Blurb. You download the software, take the images your photographer gives you on a disk and create your very own wedding album. They have alot of page templates you can use. Customize the wording and page themes. One of the hottest invitation trends right now is sending them out in a box. Your guests will be pleasantly surprised and you’ll definitely make a statement. Add all sort of accessories inside that match the season or theme of your wedding. They can run a little more than normal envelope invitations, but if you are a bride that wants to make a statement from the very beginning…this is the way to go. *Tip: Go with paper boxes instead of fabric ones to decrease the cost. Short Dresses – I love these dresses. They totally say chic, modern, daring and youthful. These dresses would be a great style to pick for the reception. Choose something a little more classic for the ceremony, then tear up the dance floor with a flirty design. One Shoulder Gowns – When I look at these dresses I think red-carpet! They are completely fabulous and stylish. They also have a goddess feel to them. Colorful – These dresses are very non-traditional. A colored dress definitely says “look at me”. However, these fall 2008 style as colorful but subtle in their own way. A bold bride needs to have a bold look. I say go for it and turn some heads. Floral Accent – I think this look is extremely romantic. It’s soft and delicate and portrays a true lady. Check out some of these pretty dresses with accent flowers. So these were just a few Fall 2008 Trends that you might see out there. Have fun with your dress selection. And do the unexpected…. Ok, so we all know that favors are usually a touchy subject. With the couple and with the guests. I know the majority of wedding favors I’ve gotten I’ve thrown away. I mean how many more tiny picture frames or candles can I collect. However, edible favors & gifts have always been a favorite of mine. There is nothing like leaving the wedding and having a midnight snack…taking a bag and filling it with an assortment of candies…or going home and making a pretty tasty lemonade. So lets do away with all those old fashioned favors and indulge in some delectable edibles. Clean. Elegant. Natural. Wedding Makeup by Michelle. Her work is absolutely incredible. 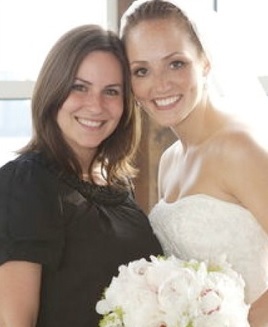 She brings out the natural beauty in all brides. She does makeup not only for brides but for supermodels. And who wouldn’t like to look like a supermodel on their wedding day! Instead of doing the same centerpiece on every table, why not go with a color palette of your liking and have a few different flower centerpieces throughout the event. Lets pick green … and create 3 different looks! So we’ve seen how changing the texture of the centerpieces can bring a little *pow* to the tables. And I can tell you, your guests will be interested in what the other tables have in store for them. And one other alternative is picking either 2 or 3 colors that work well together and then mixing & matching the tables…This is a little more daring…but is a real eye catcher! Now we all know that flowers are one of the most expensive expenses of a wedding. And as someone who’s absolutely in love with flowers, I know that getting want you want may not always be a possibility. So instead of going the ol’ traditional florist route, why not go online. There are so many wholesale vendors online that you can buy direct from. And there are a few sites out there where you can buy centerpieces & bouquets already made and not as expensive. If you go with the wholesale flowers route you can order them the night before & have family & friends help you create the centerpieces. Keep them in a cool area and the next day you are all set. It’s not as hard as you may think. If you set your mind to it and have a little bit of help you’ll get tons of satisfaction from knowing that you were the floral designer of your event. Now who wouldn’t want to take that credit? This company offers quite a range of wedding flowers put together in a box. Packages range from $150-$700. I’ve personally used them for a few of my clients. This online wholesaler has a few more exotic choices. Ok, so you’re engaged…now you are thinking about the wedding. Oh man…the stress. Ok so here is some advice just to calm you down and show you that it’s gonna be easier than you think. 1. The Dreaded Budget – Yeah I know, we would all like to have an unlimited one…but that may not be the case. Even if you don’t have a figure in your mind, sit down with the funding participants and just throw some numbers out there. 2. Needs & Wants List – So you’ve got a number. A Needs & Wants list will help you make decisions on where to spend the majority of your budget. Keep in mind, the venue will eat the majority of it (depending on how many guests you have), but overall…figure 40% of the budget. OUCH! 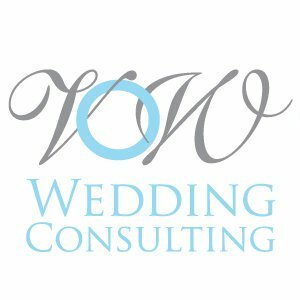 So Venue..Needs list…Draping (Wants)…go through some of the things you absolutely have to have at the wedding and what’s most important to you & the groom (yes I said groom …it’s his wedding too). 3. DIY Options – I know we would all like to hire other people to do all the work, but honestly there are so many things you can do yourself and cut back on the budget so you can have that fancy draping if you want. Research Do It Yourself projects to help you create custom made decorations or unique aspects for your wedding. These are the top three things I tell all my clients to consider right from the gate! The rest…piece of cake! I’ve worked with many vendors during my career, but there are a few out there that stood out. Each month I’m going to search for a new and fresh vendor in quite a few categories. This month the videographer that I’m recommending is Edisonian Studios. 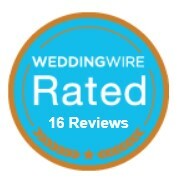 I’ve worked with them on quite a few client weddings and I couldn’t get more rave reviews. They are professional, invisible, and extremely talented when it comes to editing. They have become my exclusive wedding videographer.